Now that you know How to Create Squeeze Webpage, it is necessary to know the method of driving visitors (traffic) to website sales page through your created squeeze page. The sales page is our website page that talked about the products and services we displayed on our website to offered, or introduce for sales to the public. We need to know the techniques to use by driving our visitors to it through our design squeeze page. How do we drive traffic to our squeeze page should be our concern now that we have the knowledge of how to design squeeze page on our web. Now that we have completely design our sales funnel, our primary task is how to be driving traffic to our squeeze page. 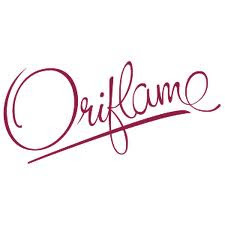 Know this that the more traffic we have on our squeeze page, more sign-up, and more people sign-up to subscribe on our opt-in form, mean more sales for us on whatever products and services we offer there on our website. There are so many proven ways to develop traffic to our squeeze page, but some generate random visitors while some targeted visitors. Some are free methods that we can use while some needs to invest our money. A successful list builder hardly uses all these methods to drive traffic. It is somehow difficult to run or master all the methods simultaneously. Mastering one or two techniques is more convenient, and then it will bring a satisfactory result. However, we cannot discuss all of these methods here. 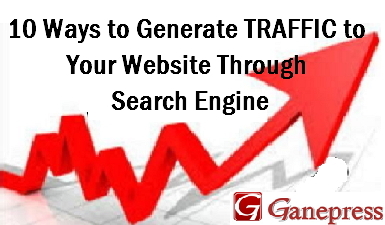 We are merely going to discuss few of these methods and some few paid methods as well to generate traffics. But we shall take it a step after the other to discuss each of them to know which one have worked best for us to have most subscribers. Blogging is one of the best free way of getting targeted traffic to visit our squeeze page. Blog always gets us traffic. No matter the content may be it is always there to put traffic. Whatever post you publish on your blog there will be visitors to come and read it. Anything to post should be a content related to any gift to give out, if we want targeted traffic on our opt-in form. For instant, if the gift to give-away is a report on “How to Make Money Blogging” we should post contents that related to it. This way, the reader will know what to be expecting from such gift before they sign-up on your opt-in form. So, they will become our targeted prospect, and we can also consider them as our valuable leads. Most of us do think that we don’t have ability to write but at least most of us do end up becoming very good writers. Initially, it may not be as easy as we think, but if we persistence and practice daily, we shall be a good writer. Again, if we don’t know the kind of content to write, there is always way out to source for valuable content on particular topic to write and we can rewrite to our satisfactory. The alternate way we can get content if we don’t want to write it. We can spend some money to get content written by other if we decide. There are markets for writers to buy from them. We can get content written from $3-$10 for 500 words. You can get them from these sites; fiverr.com, warriorforum.com, oDesk.com, elance.com, iwriter.com, even free one from some of these article directories like-ezinearticles.com, articlebase.com, scribd.com, searchwarp.com and goarticles.com etc. 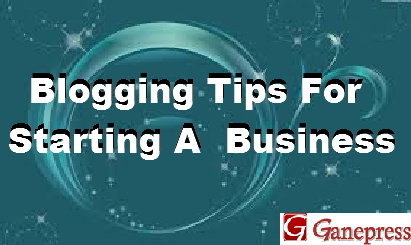 Blogging is a stable way to get targeted traffic. Setting up a blog in first time may not bring expected visitors but the numbers of visitors grows very fast, if we post regularly and our title post is interesting to our visitors. See: How to Keep Visitors Coming Back to Your Blog. To be a successful in blogging is the consistency in posting fresh content at regular intervals. There are many rules, good practices, techniques, tricks and tips for blogging successfully. If you are new in blogging, you can read more posts on this blog website to get more idea about blogging on categories. This is also similar to blogging, but article different in such a way that it does not allow any adverts placement where you can place your advertisements spaces or input your opt-in form for people to subscribe but it work well to drive traffic to your squeeze page. Article is also best use if you are into affiliate; the very quick way of earning money fast in promoting others people products and services. A good site to start posting and publishing article is ezinearticles.com, it has a good rate of traffic while other sources are articlebase.com, scribd.com, searchwarp.com and goarticles.com etc. We can only make a link at the end of the article to direct our visitors who read the article where ever we wanted our link to direct them. If you want your link to direct them to your squeeze page or to other website, you can only use it at the end of the article in the resource box. This is reason our squeeze page needs to be attractive with a good graphic design and invite people for a click. 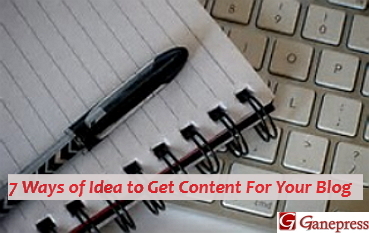 Articles dictate a lot of success and drive traffic to your website. In writing an article, you can also include a link in content as a sentence to refer or direct your readers to your squeeze page. When writing an article, you can mainly focus on a related to self-help, or tutorial, or tips so that it get published more often by other publishers and by that you will start to get a lot of traffic with your article to your squeeze page. When your article begin to circulate, you will start generating traffic to your squeeze page and more visitors to your website, definitely you will start making sales with your products and services. Another reason for article is that it can really help to add value to others if they like it and if they share them with their friends, then it will start to circulate. But such article we are writing should be on a particular product we are promoting or free package we want to give out as gift so readers who read the article can know what to expect if they eventually click on your resource box links. Since the gift is free once they click through the link to see it on your squeeze page, they will eventually sign-up with their names and email address to receive and that will also allow you to contact them in the future. You start with ezinearticles.com, it has very high rate of traffic generating when you publish your article with them while other sources are articlebase.com, scribd.com, searchwarp.com and goarticles.com etc. Forum posting will help drive traffic to squeeze page but there is definitely a procedure to make this process work. However, not following the guide will get you banned from participating in the forum. Firstly, to participate in forum, one has to become a trusted and recognized member in the forum by answering questions, participating in posting but has to be careful and following other peoples discussion. You cannot just register and burst in to start posting because forum does not work in that way. Once join you have to be participating in answering questions for a while then after a few weeks, you can start your posting putting a link of your squeeze page in the signatory. Then from there other forum members will follow to see what you are doing. Here’s some few steps plan for anyone to establishing on any forum when joining. Firstly, you must register for forum account and fill out your profile genuinely. Then before you start posting spend a few days to lurk for a while which simply mean to glance through some others discussion and past post in the forum in order to learn, understand other members and the tactics use. Secondly, once you understand the forum system then start posting but don’t be eager. It is very advisable to start with a brief introduction and start to answering questions or posting some of your own questions. Once you are gaining the ground, you can start posting with your link to your website, or to any of your squeeze page. Those two steps will help to build reputation because that’s what we need to start driving traffic to our websites and squeeze page. You need to establish yourself as an expert on the forum by showing them what you know. You just have to continue making some good posts and answering question thoroughly as much as possible so that people in the community forum will see you as an expert. The more respect you are in the community forum, the more click you’ll get on the link back to your squeeze page or website. These elements will generate us traffic, but they will probably be a little slower than some of the more dramatic techniques discussed. 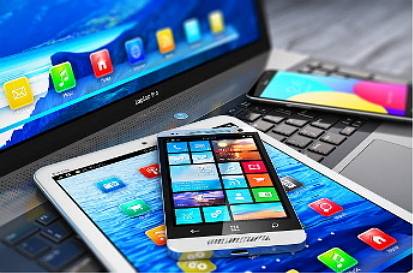 The benefit is that the traffic will be targeted and mostly people willing to buy any of our products and services we offered on any of our websites. This is a forum event where every internet marketers come together to submit their give-away gift such as free report eBooks, a video tutorial or software on the web. The submitted gifts are kept in Joint Venture Give away website where everyone will be free to visit the website to download gifts for free in exchanges with their email addressess. There, everyone will notice of your products and that bring more list to your squeeze page. It encourage many sign-up for free if one become a contributor and to submit their gift there. 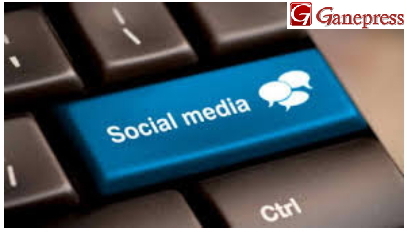 Facebook is one of ideal tool to drive sales and targeted visitors to website. It offer an excellent medium information to audience about a special offer and products to sell to thousands of people at a time. 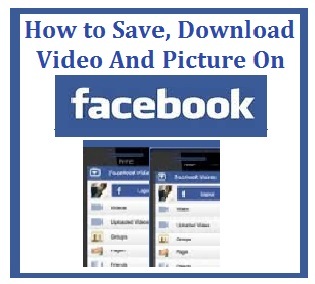 You can easily provide a squeeze page link on facebook for people to easily access your website or you can even build a store right there inside facebook. To effectively achieve targeted traffic, you need to create “Facebook Fan Page”. You will be able to get much people click to like your page or visits your website or click the squeeze page link. Facebook has a lot of features that you can use to get much more targeted visitors to your squeeze page and website. You can also use sponsor ads with little money to get more targeted audience direct to click squeeze page link or visiting your site. Solo Ads is a paid method way of paying someone to help in sending email to subscribers on your behave using their own building lists with a small fee. There are many marketers who have been doing the Solos Ads for many years now but they have a large numbers of subscribers on their lists. What to do is to outsource and make money from list of their subscribers to send email on your behalf to their subscribers by simply attach the links of your own squeeze or website in the email to sent out. If using Solo Ads, only what to require are your; email Ad title, email Ad text (that is messages to send out), and the link you want to sent out (for people to click the link to direct them to your squeeze page or your website page. A Solo Ads service is guarantees. Many of the Solo Ads do have good and genuine active list where the majority of the list are from USA and CANADA, that depends on your choice while some are from other country which they also refresh the list weekly. Solo Ads service is one of the cheaper and effective ways of building a targeted list of subscribers very fast. We can get Solo Ads from some of these sites like soloadsdirectory.com, directoryofezines.com and soloadsnigeria.com from $5-$30, $50-$100 or $200 above and that also depends on numbers of subscribers list because there are Solo Ads from 5,000 to 100,000 actives list. I hope by now you've gotten the ideas how to drive traffic to squeeze page and your website to retain your visitors by building your subscribers list. Like I said earlier that there are free and paid methods but the few mentioned are best proved to help in generating traffic to squeeze page and websites. Expecting your feedback. You can leave your comments and share this post to a friend.